Close-Circuit Television, more commonly known as CCTV, is an integrap part in the security industry. This technology is a type of video surveillance that transmits signals to a remote location, as opposed to public transmission like ordinary TVs. CCTV cameras are now widely-used in modern business for surveillance and security purposes. Here at POSCOM we believe that protecting your business assets from potential threats should never be taken for granted; that’s why we provide only the best in CCTV camera technology. There are many benefits of installing good quality surveillance for your business. We’ve listed the most crucial ones below. CCTV cameras are proven crime deterrants as they discourage thieves from stealing in fear of being caught on film. Crime prevention should be a priority when it comes to protecting your goods, and prevention is always better than cure. Additionally, making customers aware that they are in a safe space helps boost their sense of safety. Having CCTV cameras all around helps to ensure that your employees always have their best feet forward in terms of dealing with your products as well as with your customers. You can’t always be there to monitor the goings-on in your business space. Surveillance cameras help you monitor store activities from a remote location for peace of mind. Crimes can happen, and in the event that they do, CCTV camera footage will help law enforcement officers collect useful evidence. This aids in making sure that the people responsible for any lost or damaged goods are being held accountable. Monitoring customer behaviour will help keep track of what products/services work well. This will help with things like changing your store layout and improving overall customer experience. Start protecting your business today! With POSCOM, you can get your CCTV cameras confiugured for only $90+GST. 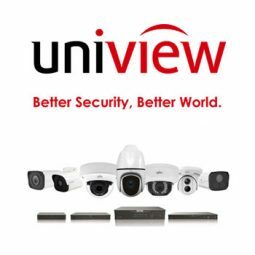 Futureproof your business and lease our CCTV cameras to get FREE installation today! Simply talk to your local dealer to get started.